#FakeNews Toronto Star: What prayers are shared in the Masjid Toronto Mosque? What are the prayers recited by the congregants in the Mosque? On October 22, 2017, the Toronto Star dedicated four pages, including its front page, to an attempt to exonerate Ayman Elkasrawy, an imam at “Masjid Toronto” mosque, from anti-Jewish and anti-infidel prayers during Ramadan 2016. It is filled with errors in fact and the gross omission of facts. The article was written by Jennifer Yang and approved by Kathy English, the Star’s public editor. I have sent several media inquiries to the Publisher, John Boynton; Bob Hepburn media inquiries; Kathy English and Jennifer Yang. None responded. 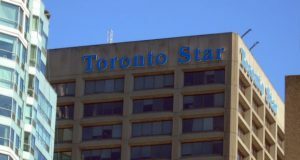 In my 12 previous investigative articles I’ve published on my blog, I showed that Toronto Star’s front page exposé spread over four pages contained major factual errors, rejected reliable contradicting evidence and ignored the social media posts of Ayman Elkasrawy that could have helped to understand the context of his supplications. Context was very important to Jennifer Yang, the reporter. In this article I’m focusing on three of the taraweeh prayers at Masjid Toronto mosque during Ramadan in 2016. These are the prayers under contention.The prayers were analyzed minute by minute to better understand their content and context with regard to the Jews and the disbelievers. Notice how often these words are shared. Surah Al-Fatiha (1) including Verses 6-7: “Guide us to the straight path – The path of those upon whom You have bestowed favor, not of those who have evoked [Your] anger or of those who are astray.” Note: Canadian Muslim scholars explain that “those who have evoked [Your] anger” refers to the Jews and “those who are astray” refers to the Christians. The chapters of the Quran recited by Masjid Toronto’s imams in the taraweeh prayers included verses condemning the Jews, Christians and other disbelievers reminding them that Allah annihilates the disbelieving people and Allah promises punishment. Canadian Muslim scholars explain that “those who have evoked [Your] anger” refers to the Jews and “those who are astray” refers to the Christians. It should be noted that Wael Shehab, the head imam of Masjid Toronto, attended the prayer in which Ayman Elkasrawy recited a supplication invoking Allah to “destroy” the enemies of Islam and “slay them one by one and spare not one of them.” The congregants said Ameen as a sign of approval after every line of the supplications. Here is another example showing that the Toronto Star’s article ignored the context of the prayers. Fund-raising speech for expanding the Mosque. Imam leading the prayer: Mostafa Hanoot and next to him in the first line of the prayer Ayman Elkasrawy. Surah Al-Bayyinah (98) including verses 1, 6: “Those who disbelieved among the People of the Scripture and the polytheists were not to be parted [from misbelief] until there came to them clear evidence… Indeed, they who disbelieved among the People of the Scripture and the polytheists will be in the fire of Hell, abiding eternally therein. Those are the worst of creatures.” Note: “the People of the Scripture” refers to Jews and Christians. O Allah! Give victory to Islam and raise the standing of the Muslims. [congregation:] Ameen. And humiliate the polytheism and polytheists. [congregation:] Ameen. O Allah! Give victory (help) to your slaves who believe in the oneness of Allah. [congregation:] Ameen. O Allah! Give them victory over the criminal people. O Allah! Destroy anyone who killed/ fought against Muslims. [congregation:] Ameen. O Allah! Destroy anyone who displaced the sons of the Muslims. [congregation:] Ameen. O Allah! Count their number; [congregation:] Ameen, slay them one by one, [congregation:] Ameen, and spare not one of them. [congregation:] Ameen. O Allah! Purify Al-Aqsa Mosque from the filth of the Jews! [congregation:] Ameen. Surah Al-A’raf (7) verses (65-79). Note: The verses tell the story of the tribes of ‘Aad and Thamud, ancient peoples annihilated by Allah because they didn’t heed the warnings of the prophets. Surah Al-A’raf (7) verses (80-93.) The verses tell the story of the peoples of Lut and Madyan that were annihilated by Allah because they didn’t heed the warnings of the prophets. Khutbah and supplications by Wael Shehab. Imam leading the prayer: Ayman Elkasrawy and behind him Wael Shehab. Surah Al-A’raf (7) verses (117-137). The verses tell the story of Pharaoh and his punishment by Allah. Surah Al-A’raf (7) verses (160-170). Verse 166: “So when they [Israelites] were insolent about that which they had been forbidden, We said to them, “Be apes, despised.” Based on this verse the Jews are often portrayed by imams as the “descendants of apes and pigs”. O Allah! Raise the standing of Islam and the Muslims. [congregation:] Ameen. O Allah! Give victory (help) to your oppressed slaves all over the world, east to west. [congregation:] Ameen. O Allah! Give victory (help) to your slaves who believe in the oneness of Allah, O the Lord of the Worlds! [congregation:] Ameen. O Allah! Destroy the criminals. [congregation:] Ameen. O Allah! Destroy anyone who inflicts injustice on your slaves, O the Lord of the Worlds! [congregation:] Ameen. You are our Protector and give us victory over the disbelieving people. O Allah, give victory to Islam and raise the standing of the Muslims. [congregation:] Ameen. O Allah, whoever wishes ill for us and wishes ill for Islam and the Muslims, make his plot (tied) around his neck. [congregation:] Ameen. O Allah, turn fate against them, [congregation:] Ameen, and destroy/ annihilate them as You destroyed/ annihilated [the peoples] of ʿĀd and Thamud [ancient peoples annihilated by Allah because they didn’t heed the warnings of the prophets]. [congregation:] Ameen. Copies of the original videos are available here. The Muslim prayer (also known as salah, salat or namaz) is one of the Five Pillars in the faith of Islam and an obligatory religious duty to be observed five times a day for every Muslim who has reached the age of puberty. On Fridays, the noon congregational prayer (salat al-Jum’a) substitutes for the regular noon prayer, and it includes the Khutba, or the Friday sermon, by the imam (religious leader) who gives the congregants guidance in Islamic teachings. The purpose of the prayer is to demonstrate a total submission to Allah and a commitment to follow his path unconditionally. At the start of each unit of prayer (rakah), Muslims must recite Surah (chapter) al-Fatihah (“The Opening”), the first chapter of the Quran. In total, Surah (chapter) al-Fatihah is recited at least seventeen times a day by a practising Muslim. The prayer also includes supplications to Allah. The Friday prayer is performed in public schools across the US and Canada and also during Islamic events at the Federal, State and provincial legislatures and City Halls. The booklet “Muslim Prayer Handbook For Beginners” has being handed out at the Islamic booth at Toronto’s Dundas Square. Printed and distributed by the Walk-In Islamic InfoCenter located at Toronto (collectfreequran.org), the booklet introduces the daily prayers for Muslims. In some of the supplications dealing with the “Kafiroun,” the disbelievers or infidels, Muslims are ordained to ask Allah to help them overcome and defeat their enemies who are identified as the disbelieving people.